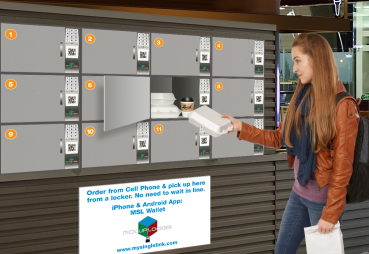 Any cabinet can be converted into electronic Smart Lockers, just by installing Smart Locks developed by MySingleLink based on their US Issued and Pending Patents. Smart Locks use state of the art internet and mobile technology and are equipped with a dedicated key board, controller, wi-fi connector and built-in software. The built-in software can be interfaced with any cloud based application. 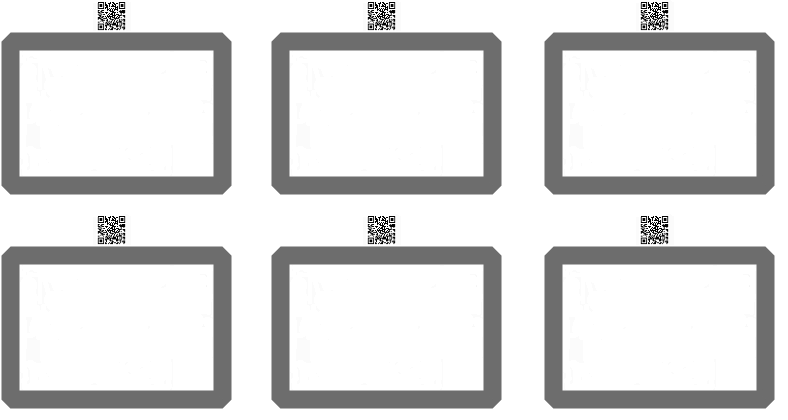 The cloud based application can be interfaced with any mobile apps, web sites, kioskes and display monitors. Smart Lockers can eliminate retail counters, kiosks, drive-thru windows and extend last mile deliveries to last inch deliveries. Since Samrt Lockers are Do It Yourself (DIY) gadgets, the overall initial and recurring costs can be lowered at least by 50%. Since Smart Lockers support Bring Your Own Device (BYOD) technology, Smart Locker Owners do not require any special hardware. Merchant places orders inside Smart Lockers. 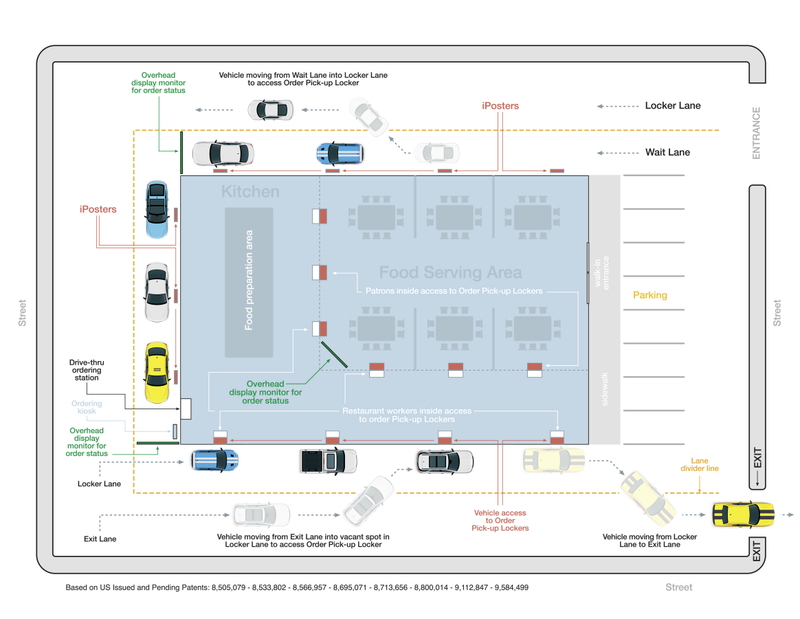 The lockers could be placed in-door or at drive-thru lane. Customer scans the QR Code displayed at the Smart Locker while holding their finger on the finger print reader or enter a code to unlock the locker. A simple change in Drive-Thru traffic and an addition of MySingleLink Smart Lock to Drive-Thru Window can reduce Drive-Thru wait time by 50%, increase order accuracy to 100%, reduce vehicle emission and let Consumers save on their gas spending. Customers who see their Locker numbers for their orders in the monitor would move to Locker Lane and proceed to the specified Locker. Consumers still wanting to place orders thru ordering station can move to the ordering station thru Wait Lane and place the orders. Ordering station can be verbal and/or kiosk.